You: Hi, my name is [name]. I am calling from [zip code]. 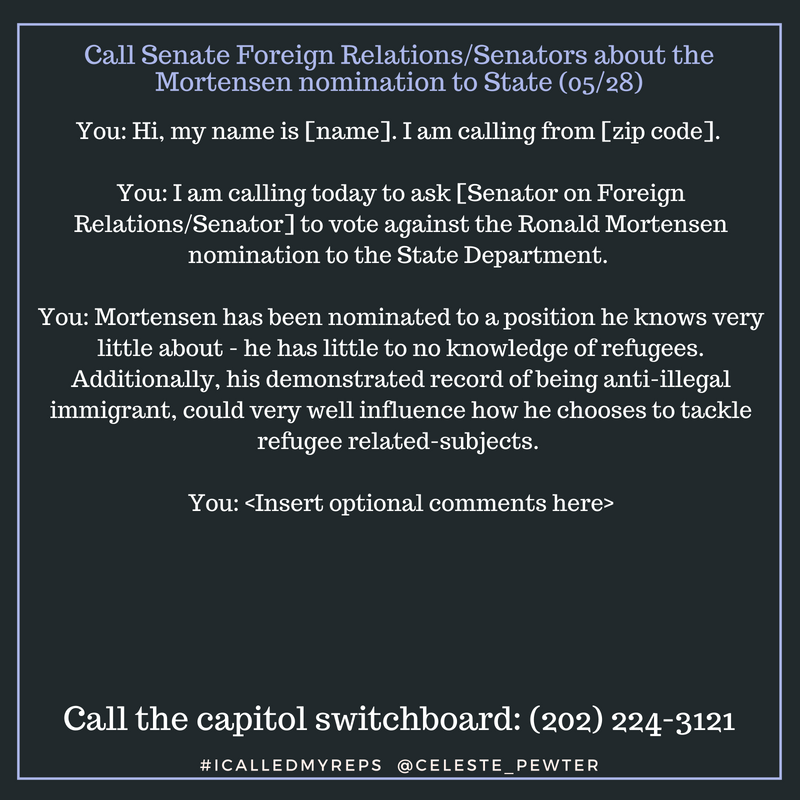 You: I am calling today to ask [Senator on Foreign Relations/Senator] to vote against the Ronald Mortensen nomination to the State Department. You: Mortensen has been nominated to a position he knows very little about - he has little to no knowledge of refugees. Additionally, his demonstrated record of being anti-illegal immigrant, could very well influence how he chooses to tackle refugee related-subjects. 2. Get five additional friends to do the same. On May 25th, Trump announced the nomination of Ronald Mortensen to become the Assistant Secretary of State for the Bureau of Population, Refugees and Migration for the State Department. Mortensen's nomination actually generated this op-ed from the Salt Lake City Tribune, which goes more into his background and why his nomination absolutely needs to be protested. 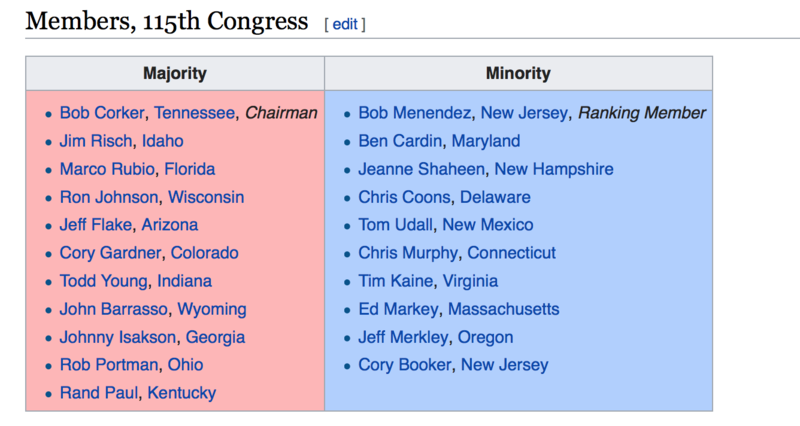 Yep - totally took this off of Wikipedia. But it's accurate and easier to read than the actual Foreign Relations page.